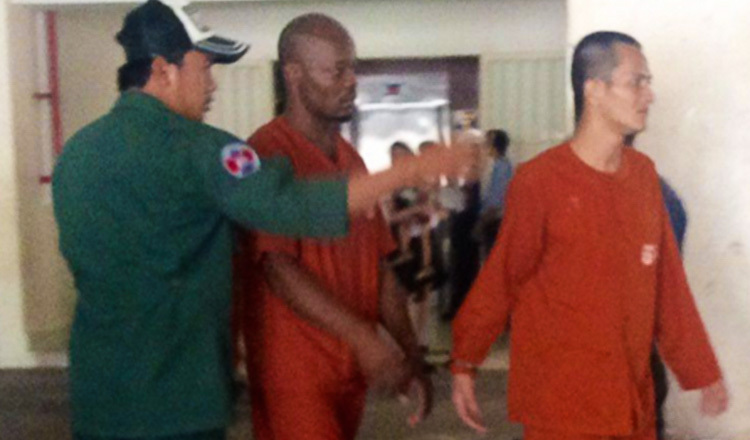 Two Nigerians and a Cambodian were yesterday tried for drug trafficking by Phnom Penh Municipal Court after being caught selling crystal methamphetamine to an undercover police officer in Por Senchey district. 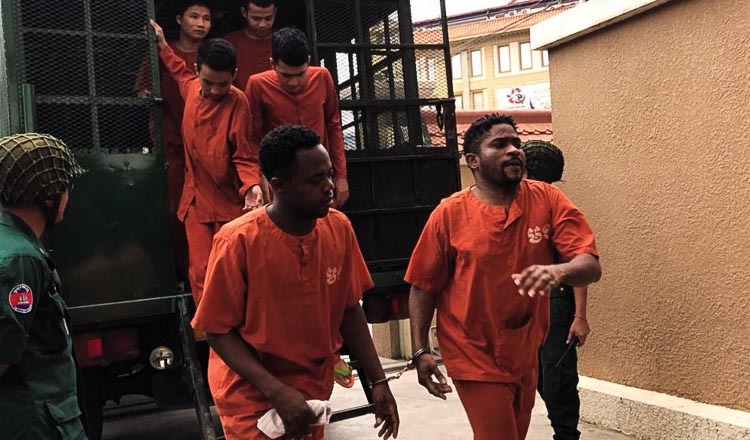 Presiding Judge Im Vannak identified the accused as Samson Ifechi Friday, 29, and Onwuka Chibusor, 33, both Nigerian nationals, as well as But Sobin, 26. 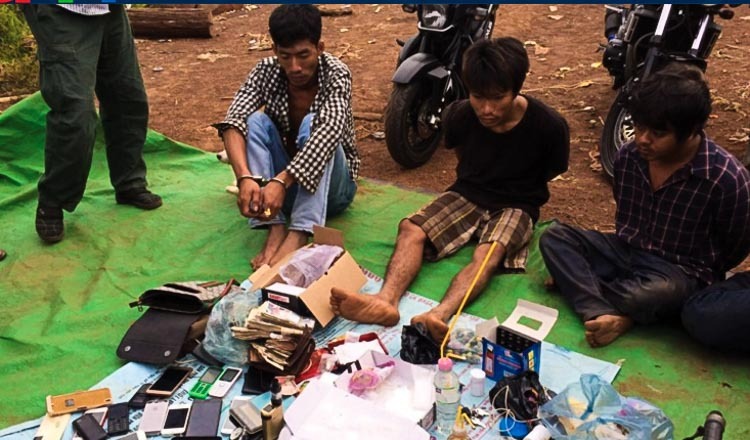 The trio was arrested by anti-drug police in April in Chom Chao commune, after which police seized two small packages of crystal methamphetamine. Deputy prosecutor Kol Bun said on April 3, police arrested Mr Sobin and confiscated 11.41 grams of meth from him. Mr Sobin then aided police in a sting operation. Mr Sobin called an unknown woman, the drug ringleader, who then hired a Nigerian man to deliver more drugs to him. 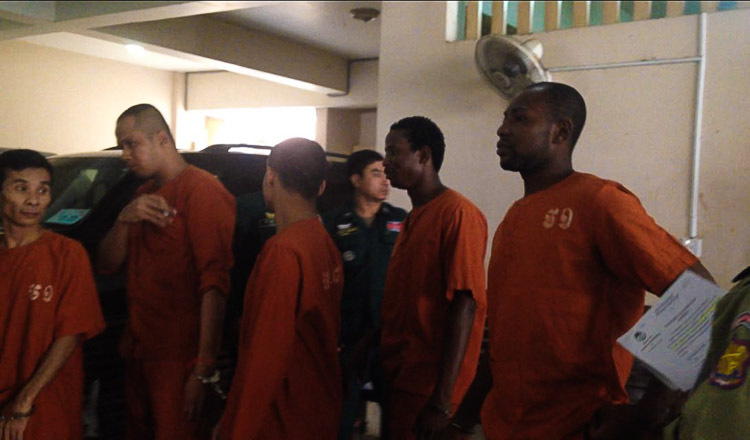 “The Nigerians were arrested after they gave the package of drugs to undercover police,” said Judge Vannak. Judge Vannak added that after their arrests, police seized 29.89 grams of meth from the Nigerians. 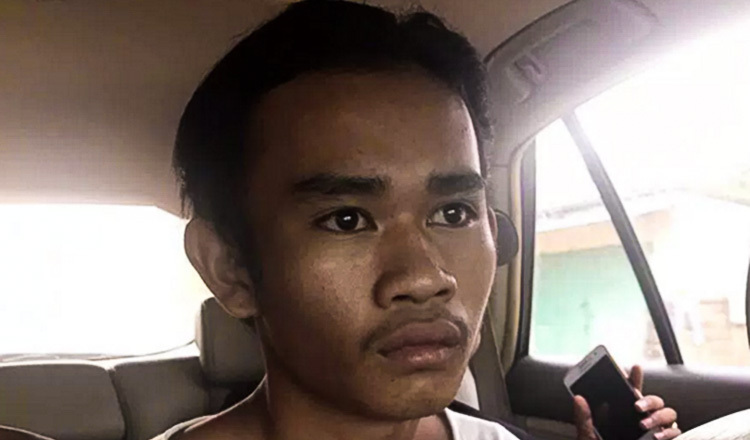 At yesterday’s trial, Mr Sobin admitted his misdeeds, telling the court he had purchased the drugs seized by police to sell to a client in Stung Meanchey commune. “The reason why I did this business was because it was easy to make good money,” he said. Mr Sobin then requested the court reduce his sentence. The two Nigerian men denied the allegations. Mr Friday said a woman hired him on April 3 to deliver what he thought was a package of soap to Mr Sobin. Because he did not know how to find the meeting place, he brought his friend along for the soap delivery, he claimed. “If I knew, I would not have delivered the package,” he added. “I was not a drug trafficker. I would like to ask the court to release me.” The men face three to five years in prison if convicted. A verdict is due on October 10.